A few months back, I wrote an article titled 5 Modern Gypsy Jazz Artists & Albums. In that article I shared some of my favorite artists who I thought both pay homage to the traditional stylings of Django and push the boundaries of the genre with other eclectic influences. Well here is another soon-to-be-released album that fits that criteria, and I’m delighted to share my impressions of it with our readers. La Storia has been on repeat at my house ever since Guitar Ramble was offered an early download of this album by New York City-based gypsy jazz quartet Anouman. Anouman consists of Peter Sparacino (saxophone and woodwinds), Koran Agan (lead guitar), Eduardo Belo (bass), and Josh Kaye (rhythm guitar). Together the group has performed at numerous domestic and international festivals. Their debut album features six original compositions and one unique arrangement of Django’s “Le Yeux Noir” (Dark Eyes). My first impression of the album was of the overall sound of the group. Not only do the musicians perform well, but their balance on the recordings and the overall mix are both tasteful and professional. You’re first acquainted with the saxophone as it opens the album on their title track with a warm, repeated motive. Shortly after, the ensemble introduces itself with a free form vamp. As the piece progresses, the lead guitar and sax occasionally share the melody producing an agreeable blend of timbres that reminds me a little of the jazz rock band Marbin. Anouman uses this doubling technique, which sometimes becomes a harmonization, for several of the melodies throughout the album. Listening on, La Storia continues to entertain with skillful musicianship, brilliant arrangements and compositions, and a blending of influences from other jazz and world genres. Throughout the album are some Charlie Parker bop influenced changes and melodies such as on “BeloBop.” The clever use of harmonic minor and syncopated rhythms in the melody of “Shenanigans” is reminiscent of Middle Eastern music. Creative use of tempo change in “Joyful Drinking Song” takes the listener from a relaxed, chant-like melody to one of more energy, as if the fictional party picked up pace. Some sounds of the nightlife enter, and the song slows back to the original theme like a pleasant end to a fun night. Anouman’s arrangement of Django Reinhardt’s “Dark Eyes” is an exciting new take on the jazz standard with a dark and mysterious introduction, a rhythmic accompaniment over the melody that feels as if it’s in a different meter, and an artistically placed pause in the music. Some of my favorite rhythm guitar mixes from the album are on this track. After an stimulating listening experience, Anouman wraps up the album with a relaxing piece called “Luka’s Place.” There’s nothing too flashy or driving, just tasteful melodies over a slow rhythmic pulse. Sit back, have a night cap, listen along, and reflect. In closing, I very much enjoyed La Storia, and I now think saxophone is a great addition to a gypsy jazz ensemble. 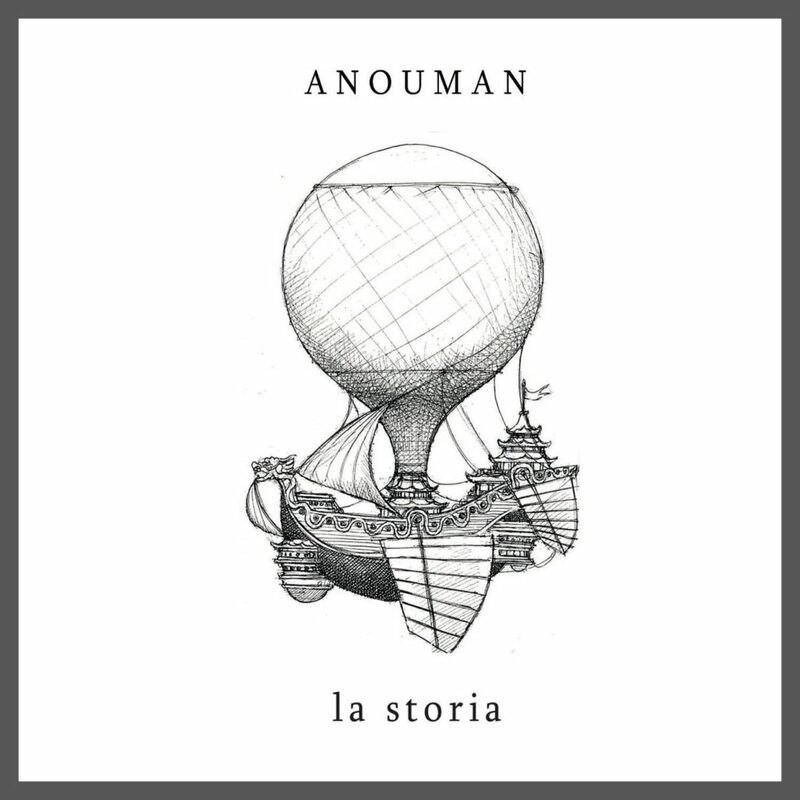 Great recordings, wonderfully tasteful solos, a tight and punchy rhythm section, creative compositions and arrangements – These are some of the reasons why I recommend checking out Anouman’s debut release of La Storia. La Storia will be available November 30, 2018. You’ll be able to purchase CDs from www.anoumanmusic.com while digital purchase will be available on iTunes and GooglePlay.